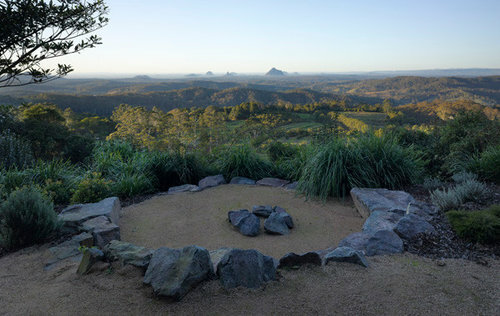 Ancient geology connects the site to the broader landscape and story of the Glass House Mountains. 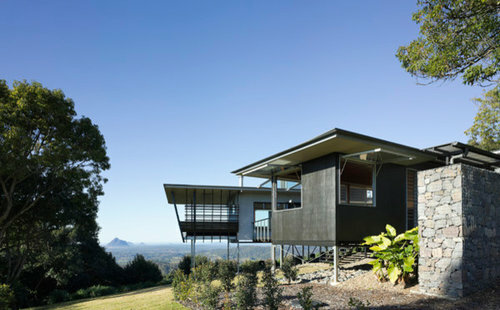 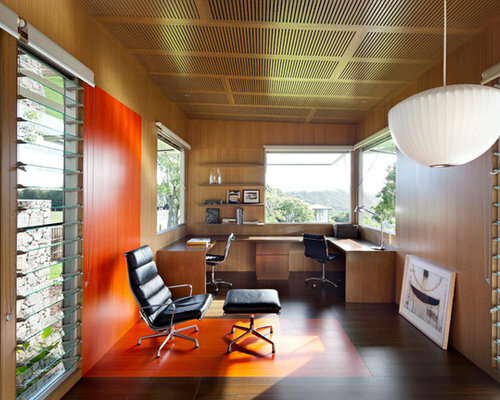 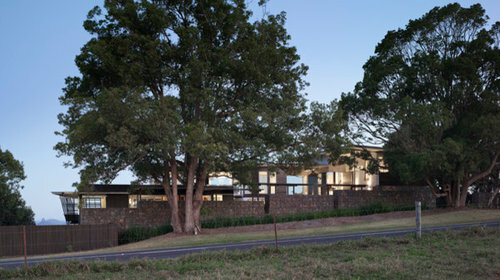 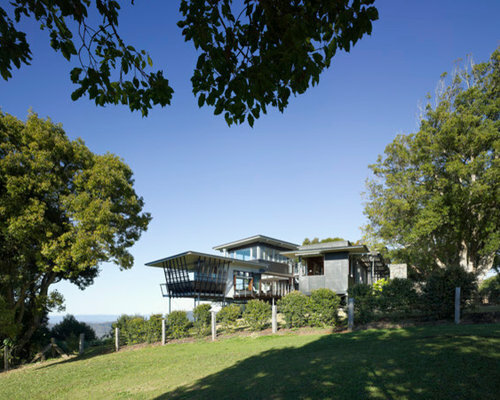 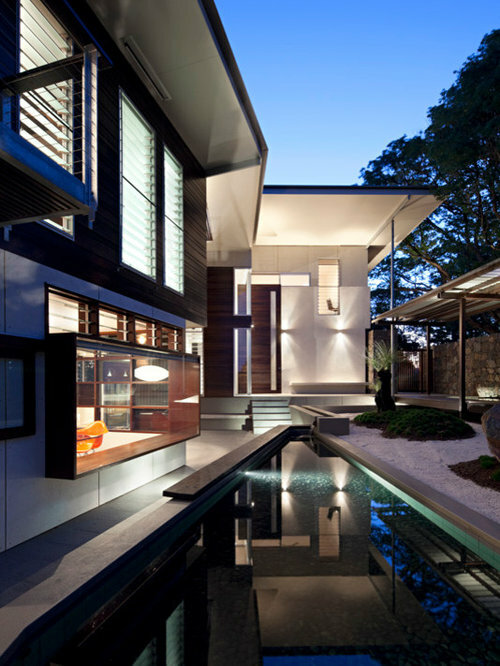 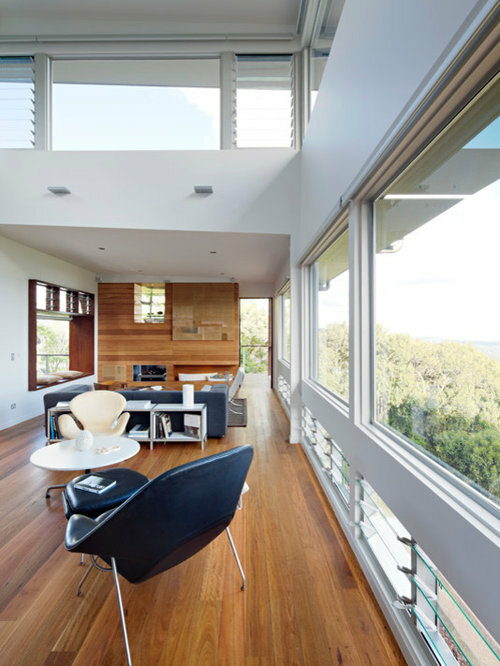 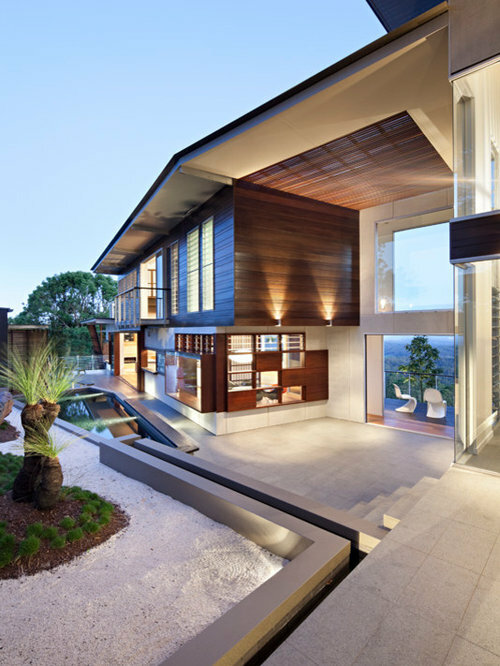 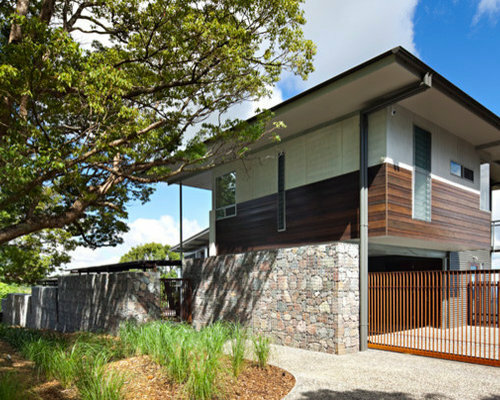 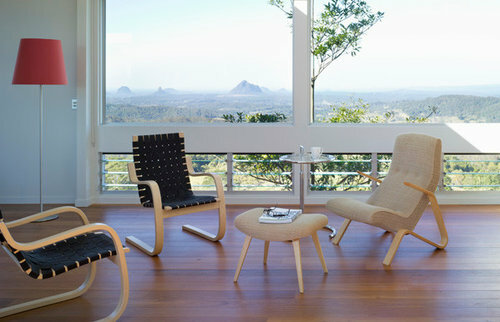 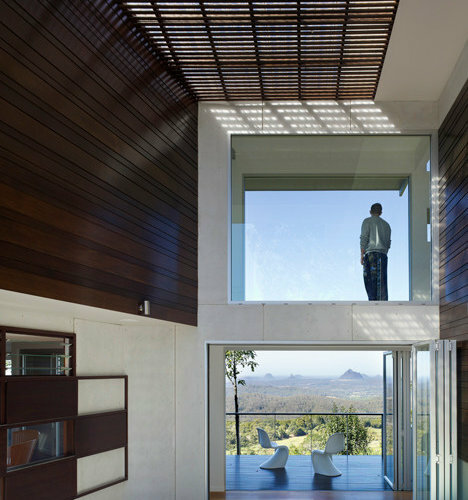 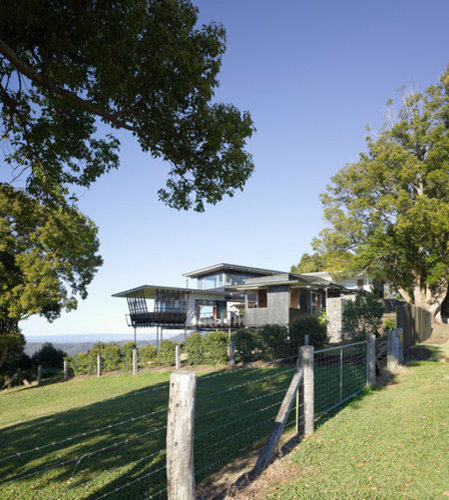 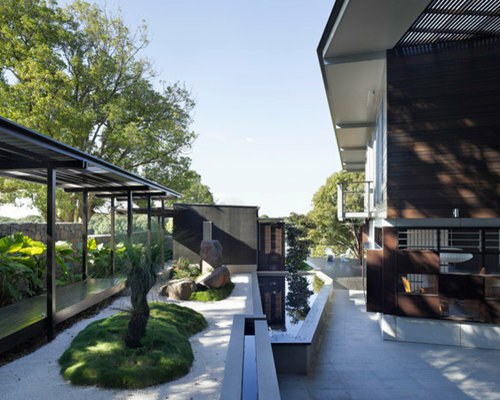 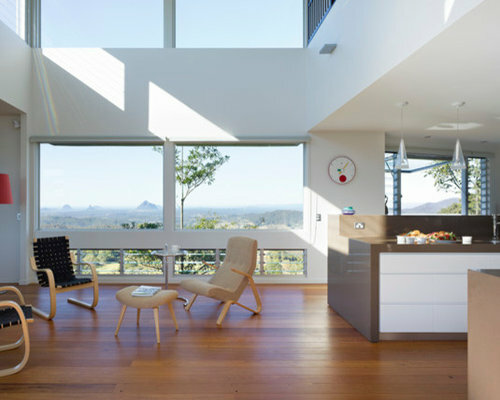 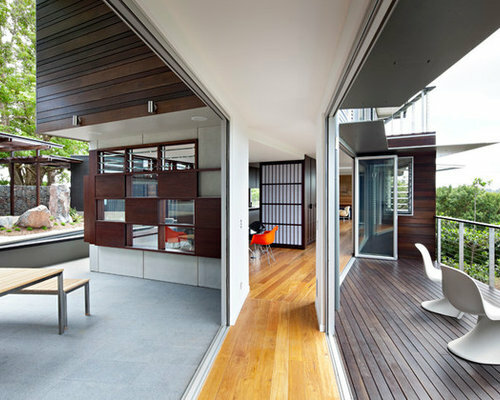 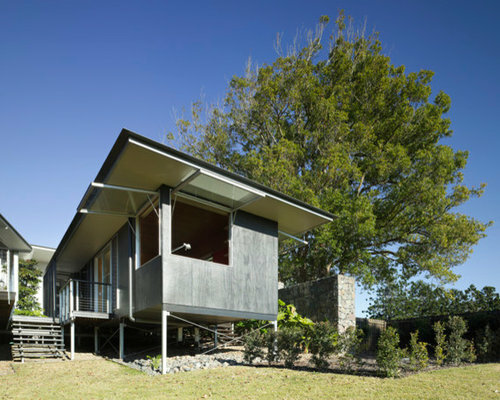 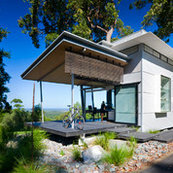 The Glass House Mountain House by name refers to its place within the broader volcanic rim of the Glass House range as well as its essential material properties of glass and stone or the essence of air and earth. 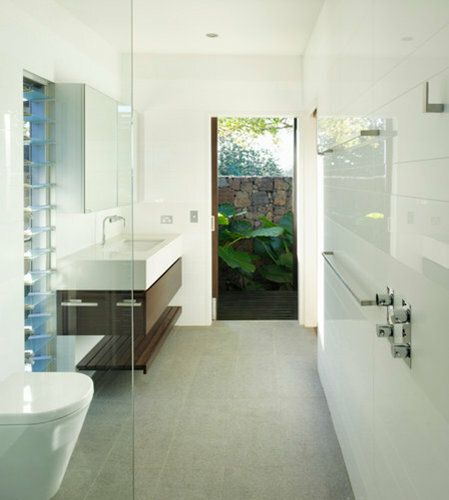 •	Surfaces, finishes and details exhibit the Japanese idea of wabi sabi as a manifestation of a beauty of things imperfect, impermanent and incomplete which are allowed to weather and evolve with time. 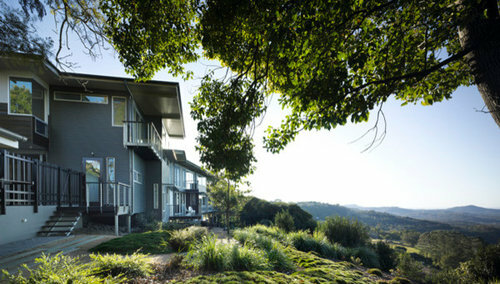 Public amenity includes a larger landscape buffer and setback with preservation of shade trees to the street, maintenance of the public view through parts of the building and site, and from the valley below, the buildings form and bulk on the escarpment appears recessive and non reflective rather than dominant to the landscape of the ridge. 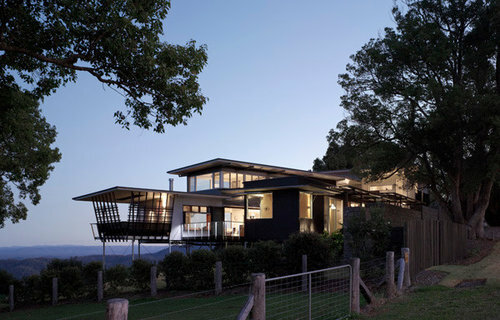 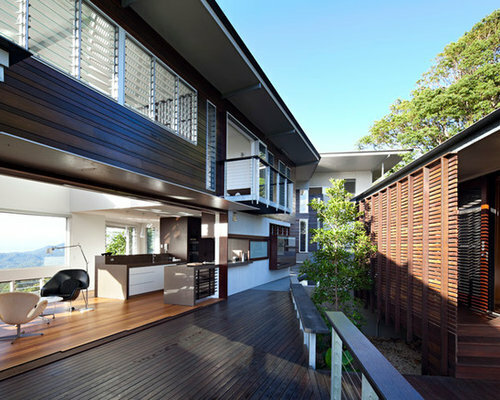 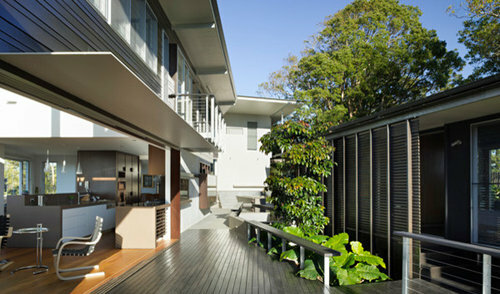 Design concepts engage with existing topography, orientation, views and vegetation. 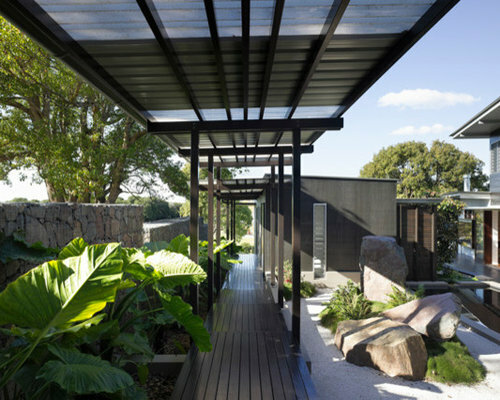 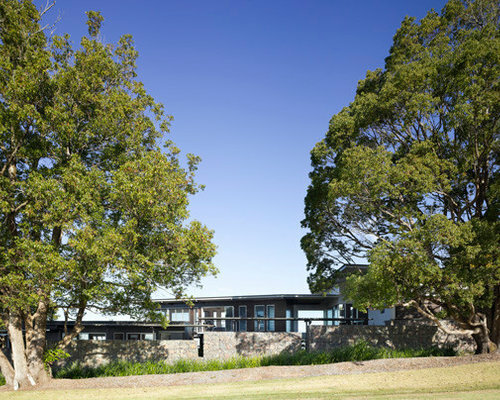 The natural monumental garden wall defines the public/private realm, managing the acoustic and psychological response to a reasonably busy country road, and mapping vistas of Glass House Mountains brings them into spaces. 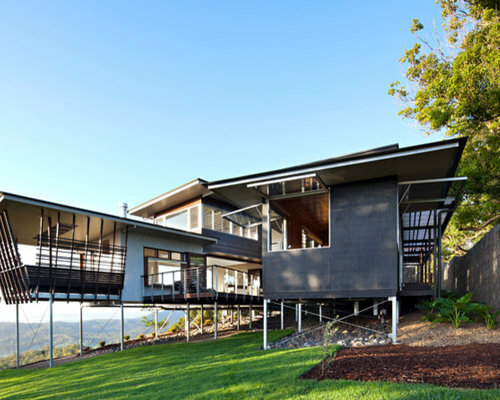 Requirements of the functional brief are separated into distinct spatial zones and the feeling of pavilions connected around the edges of the main outdoor courtyard space creates a loosely connected resort or village feel of a mountain lodge typology. 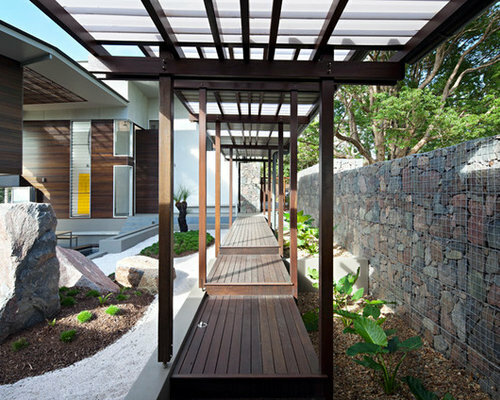 Essential to making Place is the contribution of the landscape architecture, and the fine craft embued Gabion stone wall, which evolved into a personally placed landscape art element by the stone mason, and the crafted timber joinery elements and the craft of the artist of the fabric screen piece. 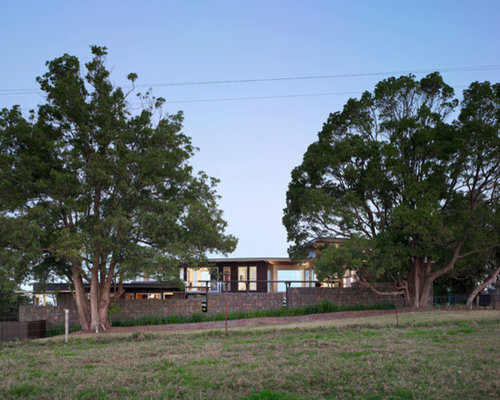 Balancing elements of economy and fine craft, largely the house exhibits economical finishes, a certain directness, authenticity, natural, textured and unadorned surfaces which are then embroidered with some key highly crafted timber elements and pieces. 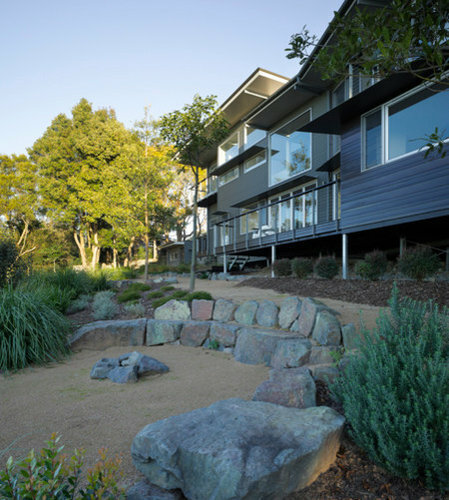 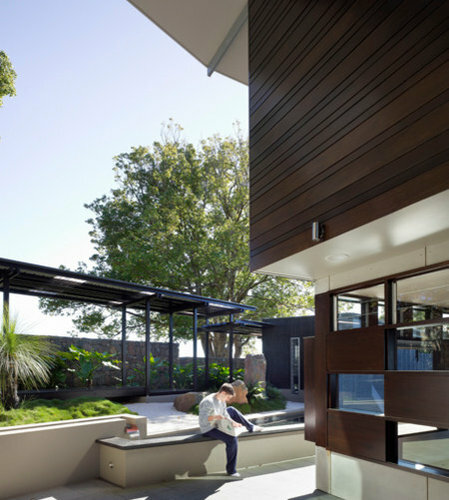 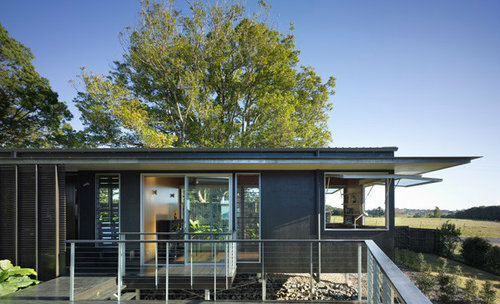 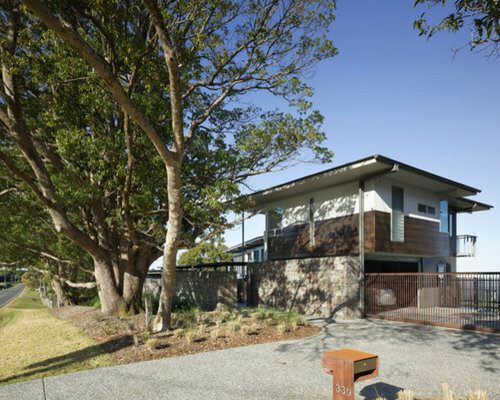 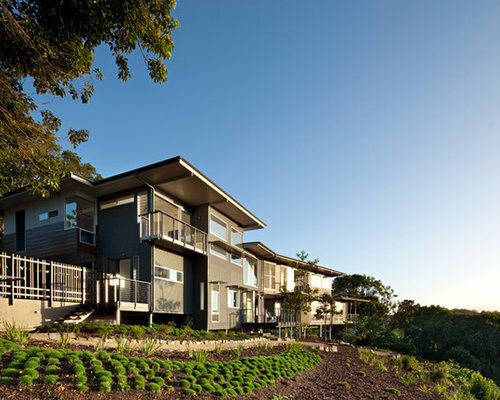 The benefit to the environment starts with natural cooling and lighting by harnessing available breezes and winter sun, using locally sourced hardwood, plantation grown plywood cladding and lining, recycled Blackbutt timber floor, local quarry rock, and endemic garden species. 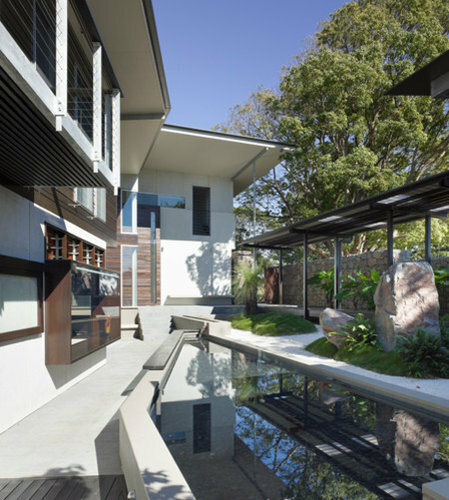 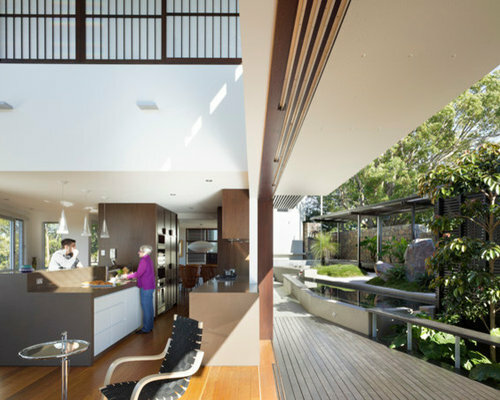 Interpretations of the brief, include the outdoor spaces created ‘in between’ the requested internal spaces, the double height outdoor room and the central courtyard landscape place which provide the essence and memorable qualities of the house.